I so badly wanted to write about this issue, School Security considering the two ghastly attacks on our institutions, the first being the Army Public School Peshawar and then the Bacha Khan University. That, why these animals choose to attack our children is a separate issue and one that can be debated at length, this post is purely, “boots on the ground stuff”. That’s because I believe that a small security flaw or over sight can and will result in the loss of many lives. It’s not only the security staff, but also the technology that should be used to toughen the overall security. In writing this I have “‘researched” some of the previous attacks on the various Military/Government as well as Schools to find the ways in which these macabre acts were carried out. Learn from the past incidents. I think the biggest flaw has been our inability to learn from the past incidents. If one carefully analyses the attacks on the Army Public School Peshawar, Bacha Khan University, Mehran Base, Parade Lane residential compound or the Kamrah Air Base; the single common thing is that they came “from the rear”. Why then was there no security, or no adequate security mechanism at the rear? I am appalled at this only! Do not the security personnel in-charge at these institutions understand this? I can wager my one month’s salary, if you go to any school and you will find honchos guarding the gates, and just take a peek at the rear, it will be denuded or devoid of any guard! Another, issue related to this is, “No Security at the roof tops!” Man, does it take an above 180 IQ to understand this? Had there been just one or two guards with rifles in case of APS Peshawar or the Bacha Khan University, the loss would have been much less. In fact if properly trained security had been deployed at the roofs of the buildings, these attacks might as well have failed. Security is Integral. In both the cases the university and the school external forces i.e. LEAs were called to take down the terrorists. Well I understand terrorists are specially trained by their mentors (may they burn in Hell) to cause maximum damage, and that to kill them you need special forces, but in any case my lamentation is that Security should be in-built to minimize the damage. This can mean having SOPs for teachers and students, security drills, sirens, and a host of measures. Although placing trained security personnel at every institution is not possible, anywhere in the world, still placing a few at the right spots can help in minimizing the damage. The CCTV Dilemma and use of right Technology. One big farce is the CCTV camera network. 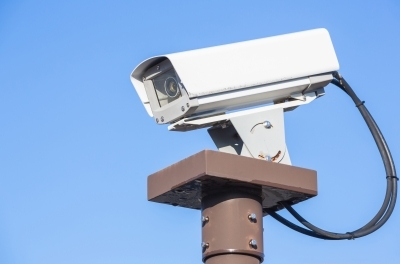 It is wrongly perceived by the public and the security personnel that after installing a CCTV system the security of that place becomes impregnable. Well sadly that ain’t so. That’s because; a) CCTV needs to be monitored round the clock, which is humanly not possible, imagine monitoring a CCTV network of 50 or more cameras, it will need a huge staff and b) CCTV is mostly used to post-scenario analysis. So what’s the solution? Should we do away with CCTVs? Nopes, I think this is where we need to use technology. There’s a new kid on the block called as the Behavioral Recognition System or BRS. Google it and you will understand what I mean. It’s an artificial intelligence based system that integrates in to any CCTV system and after studying the environment for a few days, gives prompts on detecting abnormal activity. I have seen it work and it’s really effective. Arm the Teachers. You may not agree with me but arming the teachers is a good option IMHO. That’s because its better to be alive then be dead at the hands of an unforgiving terrorist. There is one Dr. Hamid who took it upon himself to protect his students, and the nation salutes him now. Had there been a few more like him that day, things might have been different. I am a big proponent of keeping guns for self defense, for the simple reason that I don’t want to die at the hands of a fatherless terrorist, I would rather kill the bugger than be killed by him. Start taking things seriously. That’s the last and foremost advice I can give to the security personnel, students, teachers parents and everyone. I believe we are in a state of war, one in which you can’t see the enemy. He’s living amongst us, yet undetected. Train the guards, train the teachers, drill the students and leave no loose ends. I pray our kids remain safe in schools. Thanks for this comprehensive post, spot on! May our children remain safe in schools and may a time come, when Pakistanis feel safe in their cities and in the homeland. Ameen.